A review by my good friend Banchō Truth, on accounta my "accident". What'samattahyou? What happens when you get the incomparable talent of Yoshikazu Yasuhiko to adapt the characters of the hit sci-fi books of Haruka Takachiho? You get the Crusher Joe movie, full of high-flying, danger warping, gun hand firing, disco brawling action from a crew of professional... uh... odd job takers? How does one describe the work of the Crushers? Varied. Watch, like, share, subscribe! Also, turn off adblocker programs. Otaku Evolution Episode 60 - Rurouni Kenshin: Trust & Betrayal from mtpenguin on Vimeo. In this episode of Otaku Evolution, I take a look at the scarred swordsman cutting his way through the Bakumatsu with a bloodied blade, Kenshin Himura, before he became a technical pacifist. Here's to the heart of the sword! Otaku Evolution Season 3 - Coming This Week! A new season of my chintzy, unwatched anime review video series, Otaku Evolution, is upon us, with new episodes starting this week! If you haven't seen the show, please check it out in one or all the links below to my three(!) different hosts for the series. It's essentially just me reviewing anime, but as a pixelated representation of myself living, roughly, in the world of my old OR: Side Story and Penguin Chronicles strips. Don't worry if you don't "get" the stuff with the pixels, it's just for presentation purposes (though I do put a lot of effort in). Don't forget to feed me hits, thumbs up, likes, shares, etc. 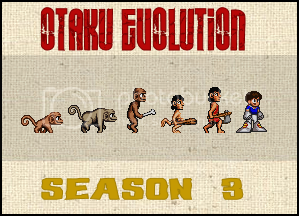 Read more about Otaku Evolution Season 3 - Coming This Week! 2015 ends, without any pesky Third Impacts, and a bare minimum of Tang. But there's plenty going on in the season finale of Otaku Evolution, where Penguin Truth takes on a variety of anime English dubs, including Lupin, Gundam, Golgo, Death Note, and more! You and I have unfinished business, Kikaider The Animation. 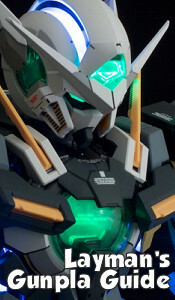 You won't come out of this untouched either, OVA sequel. Like, share, and subscribe to my YT page. Next episode will probably be on my Dailymotion page, though.